Robert Panitzsch was born and lived in Denmark. His subjects were diversified and he was equally skilled painting still life, interiors, gardens, landscapes and seascapes. Most of his landscapes and sea scapes were inspired by the ports and canals of Copenhagen. 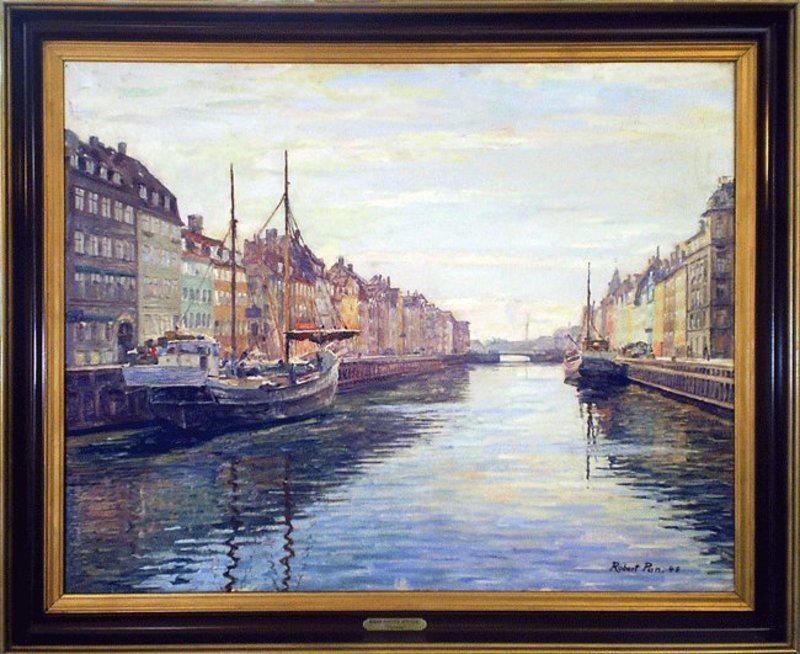 This piece, painted near the end of his life, is a fine example of the techniques employed by Panitzsch that capture the bold colors and tranquil nature of the port city of Copenhagen. Panitzsch is a well listed artist with extensive, strong auction records. During his life he exhibited not only through out Denmark but also Germany and his works are represented in a museum in Hannover, Germany.